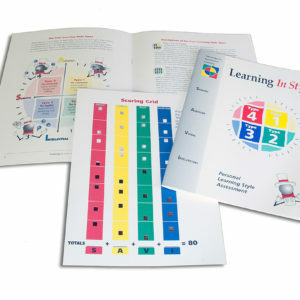 An all-in-one tool kit with software, manuals, and templates for designing effective accelerated learning style courses fast! The All-In-One-Toolkit for designing affective accelerated learning style courses fast! The Accelerated Learning CourseBuilder is the largest collection of accelerated learning activities ever published combined with an integrated system for building these activities into complete learning programs quickly. CourseBuilder has over 400 ready-made learning activities linked to our Accelerated Instructional Design (AID) System for building accelerated learning courses in a flash. It’s never hit or miss with CourseBuilder. Each time you design, you are guaranteed to come out with an effective activity-based learner-centered course from start to finish. 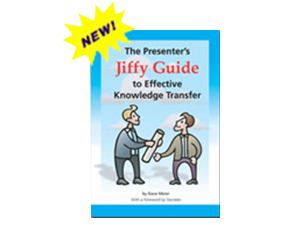 A comprehensive kit for putting together effective activity-based courses quickly. How do you use CourseBuilder? Select and customize learning activities and then quickly arrange them into activity-based learning programs that will get extraordinary results. You can also easily integrate your own learning activities into the CourseBuilder design system. Learning professionals from all over tell us they are stressed today by having to develop training programs faster and faster. And even though they may love A.L. concepts, they often feel they don’t have the time to design each course from scratch. CourseBuilder is meant to remedy this by helping you create activity-based courses rapidly that consistently use the most powerful and innovative learning approaches. With CourseBuilder’s activities, you have an ever-ready supply of fresh ideas that you can arrange in a flash to build courses that allow participants to learn at their best every time–and that get extraordinary results for your organization! CourseBuilder will help you. 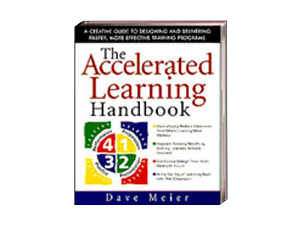 . .
Over 400 accelerated learning ideas and activities that you can easily adapt to your content. Our complete step-by-step Accelerated Instructional Design Process (AID) for speeding and enhancing the design process. File and hard copy with step-by-step design templates to guide you through the design process. Tools to evaluate the strength of your designs according to accelerated learning criteria. 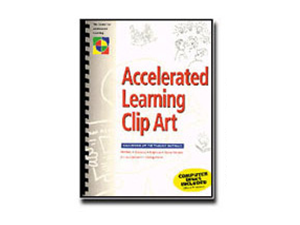 File and hard copy with copyable and customizable materials for use with selected activities. A book of course design models created by A.L. 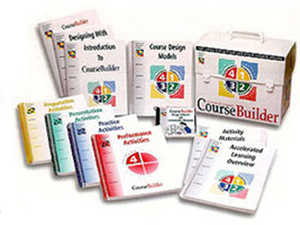 practitioners using CourseBuilder methods and covering a wide range of subjects and industries. An overview of accelerated learning principles and methods that you’ll use again and again to renew your understanding of A.L. and to get a steady stream of fresh ideas. Telephone support to help you get the most out of the CourseBuilder system. Accelerated Learning Workshop Graduate discount $1095.